This first time partnership with Kaplan and a video game company, namely Aspyr (get it), creates a fun tutorial that concentrates on test skills and familiarization more than pressure-filled scenarios. This skill building game has a nice format with eight game types and approximately 1,200 questions in the subjects of reading, math and writing. Stick figure icons and customization add nice variety to an engaging experience that still challenges and rewards some serious mental workouts. Each subject has two sections – glyphs and prediction in reading, ante up grade and writer wrong in writing, and grid swap and connection in math. Glyph mode lets players combine words from prefixes and suffixes while prediction lets players fill in missing words in sentences then choose from a formulated multiple choice list. Both modes present great core learning opportunities in smaller steps that let future SAT test takers tackle the text heavy reading section thoroughly. The similar ante up grade requires completion of a sentence from three possible choices. Writer Wrong requires specific grammar and editing of each sentence in a slightly annoying spinning wheel mechanic, which contains the selectable answers. Grid swap puts “mathmateers” and gives four math questions (easy to forget to do them all) and a grid number pool as the answers. Connection has a pool of two questions (choose one) then four possible multiple choice answers. Clock watchers can rest easy because this game has no timed tests. Developers created a nice statistic system as well that helps players assess their skills, which adds further customization to the game. The comprehensive quiz section (15 reading, writing, or math multiple choice questions) also includes a helpful review feature where players compare their answers with the correct ones. Studious players also get to practice essential question skipping skills with the Skipper option, where players read through all the questions then choose several to skip. A solid, challenging life skill game with expanded interactions and entertaining formats – a long way from the 1980s Reader’s Digest version I used. This entry was posted in Video Game Reviews and tagged futureU, Michael Siebenaler, Mike Siebenaler, SAT, Tall Writer, video games. Bookmark the permalink. 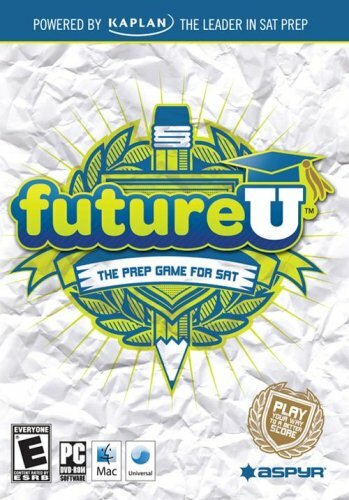 Where was this game when I was studying for my SAT? 🙂 If only. Great that all can benefit now. Love these “edu-games”. Love this. What a great idea for preparing for the SAT. Wonder if they will make an ACT one as well.